Welcome to the Rampart High School Instrumental Music program. Rampart High School – an Academy District 20 public high school – is located in Colorado Springs, Colorado, which currently serves over 1,600 students in grades 9-12. 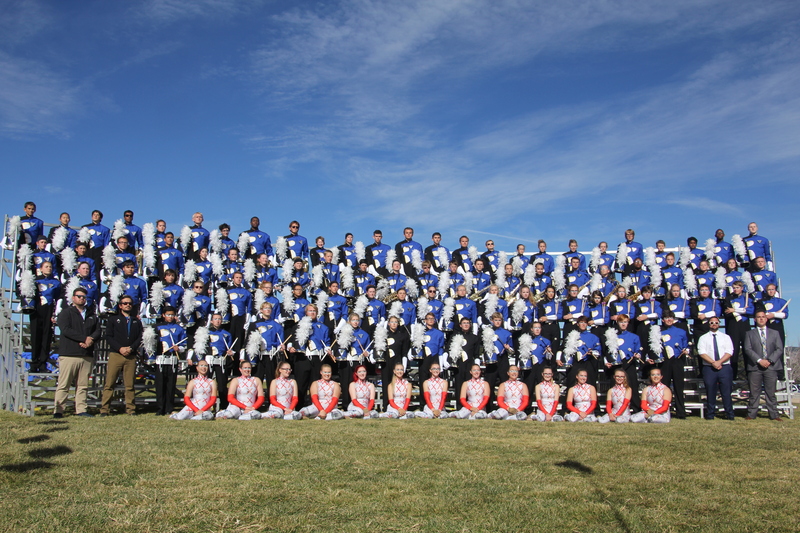 The Rampart High School Instrumental Music program strives to give all participating students a comprehensive musical education in aspects of instrumental music while also focusing on instilling important life skills necessary for their academic and professional growth while becoming connoisseurs of music for life. The Rampart High School Instrumental Music program consists of: Wind Ensemble, Symphonic Band, Concert Band, String Orchestra, Marching Band, Jazz Ensemble, Advanced Jazz Ensemble, Winter Guard, Winter Percussion, and Guitar Ensemble. Also, see this overview for information relating to the 2018-2019 year. Did you miss the Back to School Night presentation? Here is the PowerPoint. Learn more about our marching band and March-a-Thon 2018. Learn more about Rampart High School. Need help logging into Charms? Try these instructions.